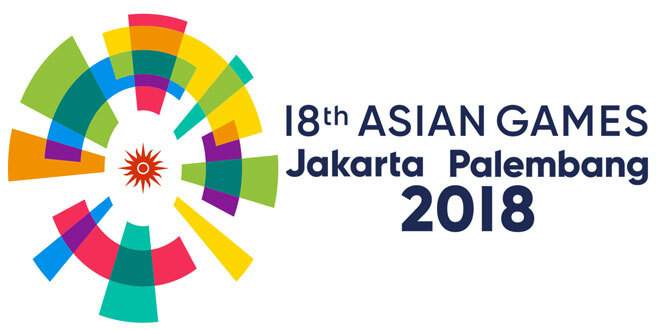 Even as the Asian Games in Jakarta and Palembang in Indonesia set August 21 to September 2 is ticking down, we still have to finalize the list of events we will join out of the 40 sports to be played there and the athletes to be sent. Par for the course because it seems we have not learned up to now the lessons in the past of preparing early our athletes for international competitions like the Asian Games, and actually one controversial issue now in the selection process is the question of whether we will send both a men’s and women’s volleyball teams to the event. Questions are being raised as to the fairness or unfairness of sending teams or individual athletes to events where they have no chance of winning a medal. In volleyball, it was in the early 90’s when we last won a medal in the women’s side and this was in the SEA Games even, not in the Asiad. Since then, we have not had a podium finish at the SEA Games. We did send our women’s volleyball team in the 2017 SEA Games and the team did not even reach the semifinals. And the previous year, we joined a world interclub championship held in Manila and we fielded a team composed of seven of our best local players and reinforced by seven foreign imports. These are good players like PSL MVP Lindsay Stalzer, but still we did not reach even the final four. That is why a lot of questions are being raised on the plan by our volleyball officials to send a women’s team, saying it will be good exposure for them, hinting already that there will not be a podium finish expected from the girls. Well, with teams from Japan, China, Korea, Chinese-Taipei, the Middle East and the former USSR republics in the cast, aside from the SEA volleyball powers, I really do not expect any medal if we do join women’s volleyball. I heard that chef de mission Richard Gomez is insisting on the fielding of the team and that his position is the CDM has the final say on the teams to be sent, which is not what I heard from a former Philippine Olympic Committee (POC) official who is very familiar with rules. He says it is the NSA that recommends, but it is the POC that makes the final decision, whether the Executive Board or the General Assembly. I do not think that the final decision on who to send should rest on one person, whether the CDM or the NSA head, or even the POC President. And I also wonder why it should even be an issue at all if there are clear-cut criteria as to who will be sent to the Asian Games. There used to be a Task Force created that was given the role of screening the recommended athletes and they were subjected to a real screening. But still, there were a few who made it despite not meeting the criteria. This is one problem in Philippine sports that has been a recurring situation, and I hope Gomez will understand the true meaning of what was announced that the DCM would make the final endorsement, but not the decision as to who will be sent. I am not against women’s volleyball being sent per se, but I would like to see athletes sent to international and major tournaments who have qualified and not based on popularity alone as some are saying about women’s volleyball, nor sending those who are willing to spend their own money just to go to an Asian Games where the level of competition is much higher that the SEA Games. Yes, there is a need to expose our athletes to international competition but then in the case of women’s volleyball, they did not make the grade yet in the last SEA Games so what else can we expect against much stronger opponents in Indonesia? We also need to look at the cost component of sending a volleyball team versus sending individual athletes who have the same right, and maybe better chances of doing better. Me, I would rather take my chance with individual athletes than to send a team that I know without doubt will not even reach the semifinals, and probably not even the quarterfinals. There should be certain levels to be met before one goes up to the next level and for me, the SEA Games, specifically in volleyball, is a good gauge of how strong or how weak our team is. But then, politics will always be a factor in Philippine sports and how the final decision will turn out for women’s volleyball, I really do not know. Nothing personal at all, girls. I am actually a fan of women’s volleyball here but this is the way I see it.